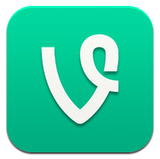 Vine has really taken off in the social media world. With only 6 seconds of video to work with, brands are coming up with creative ways to use that time to get their messages out. Some are making them funny, some are informative and some are just meant for contests. Did you know there are different types of Facebook fans? The same message can't always be targeted correctly to all the fans or members of your audience like you want it to. Visual Campaigns - Are You Using Them? When it comes to social media and contests - they BLOW UP. What do I mean by this? Log on to Facebook and search around for a little while. You are bound to find a few contests on some of your favorite brands' pages. The best way to get the news out about a contest online is to use social media. Facebook and Twitter are the main platforms to find contests on. With Twitter you can use a hashtag to track the submissions and Facebook you can use a specific page.